The Slotervaart hospital in Amsterdam has for years made millions of euros profit from the production of heroin under licence from the health ministry, according to a new book. The claims are made by two Parool and NRC journalists in a new book tracking the rise and fall of the hospital and its controversial former owner Aysel Erbudak. The heroin is made by a limited company owned by the hospital and is supplied to a group of some 750 addicts under medical supervision. The ministry paid €3m a year for the heroin, of which more than €1m was pure profit. Despite this major financial interest, the existence of the heroin production company is not included in the hospital’s accounts, the journalists say. In addition, the heroin company also paid profits to another company owned by the hospital’s chief pharmacist Jos Beijnen. Hospitals are currently banned by law from paying dividends. The health ministry said in a reaction that it was aware of the hospital’s profits on heroin and that it had been agreed the money would be used for academic research. The payment of dividends has also ended, the ministry said. 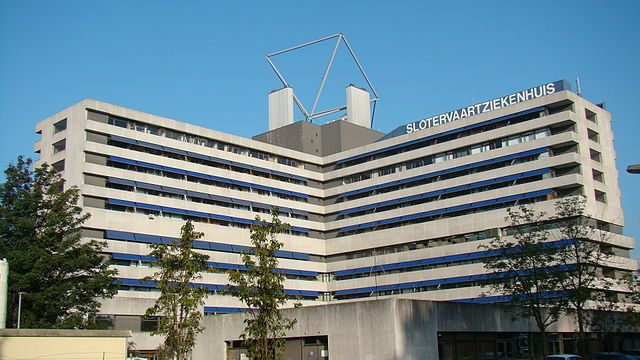 In 2013, the Slotervaart hospital was taken over by former doctor Loek Winter whose company MC Groep has bought up several financially troubled hospitals and clinics over the past few years. Cancer hospital Antoni van Leeuenhoek now owns 51% of the heroin company and Slotervart, 49%.